The Karoo region presents images of wholesomeness, windmills, sheep farms, endless vistas, hospitality and wholesome food … The region is famous for its sheep meat with its distinct taste and texture. 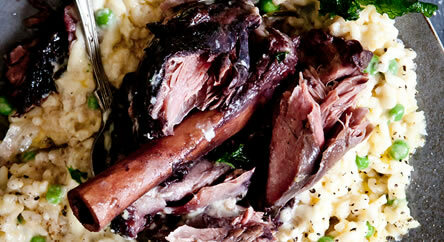 Karoo sheep meat’s distinctive character is derived from grazing on indigenous Karoo veldt vegetation. 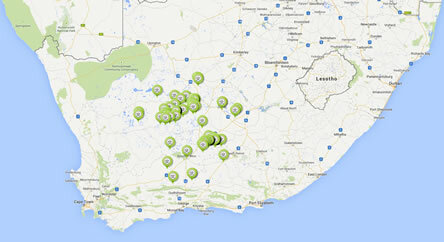 The name “Karoo” has been abused and misappropriated by many businesses not based in the Karoo. The economic benefits have been taken from the people of the Karoo. 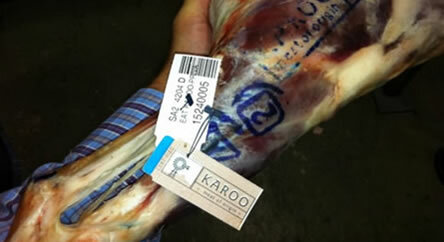 Now for the first time a certification mark will guarantee that you are buying true Karoo meat. The trustees have a common vision and concern about the future of the Karoo and its development potential. The Foundation is investing in the reputational assets of the Karoo such as its natural beauty, crafts, sheep meat and tourism. The trustees have a common vision and concern about the future of the Karoo and its development potential. The Foundation is investing all its efforts in exploiting the economic potential of the reputational assets of the Karoo such as its natural beauty, crafts, sheep meat and tourism. With this in mind the mission of the trust is to create a sense of local ownership and pride in the unique and diverse cultural, architectural and natural heritages of the Karoo, promote regional cohesion in the Karoo, and promote sustainable socio-economic development in the Karoo. 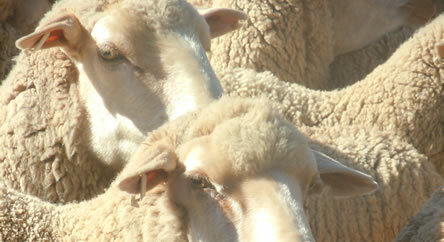 In support of the objective it has put in place a certification scheme (the Scheme) in terms of which producers, abattoirs, butcheries, other outlets, restaurants or any other actors that produce and/or trade in Karoo sheep meat can apply to be certified to use the mark KAROO MEAT OF ORIGIN. The 3rd party certification process created by the Scheme enables consumers of Karoo sheep meat to verify the authenticity of the meat and enables producers and marketers of Karoo sheep meat to capture rents associated with consumer willingness to pay for the authentic product. By doing this the Scheme is stimulating economic activity in the Karoo region that has witnessed a steady economic decline for decades. By reviving the financial viability of Karoo sheep meat production and marketing, the Scheme is contributing to job creation within the region. Certification of land reform beneficiaries will furthermore likely improve the profitability of these farmers and deepen development dynamics within this vast and arid region. To create opportunities for local people to take an active interest in the preservation of their architectural, natural, cultural and archaeological heritage. To promote innovative, imaginative and effective economic and social development and investment programmes to enhance the quality of life of residents of the Karoo, with due sensitivity for the natural and cultural heritage of the region. To encourage inclusive and people-centered development strategies, which will promote employment, emergent enterprises, and alleviate poverty in Karoo communities. To preserve the ecological heritage of the Karoo. To facilitate co-operation amongst government, municipal, private and civil society organisations in the Karoo, and assist them to achieve their developmental goals. To promote research, publications and exchanges of information and best practice solutions to arid areas problems. To register and protect generic names and geographical products, developments, fauna, flora and property on behalf of the beneficiary community in the Karoo. 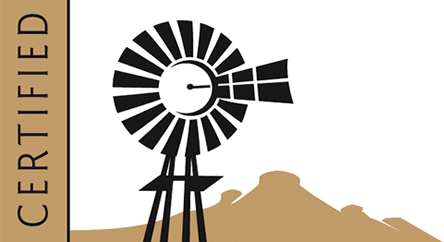 The absence of meaningful regional development institutions greatly complicates the management of developmental issues which transcend provincial and municipal boundaries such as in the case of the Karoo. The KDF has therefore articulated the need for the creation of an institution for multi-provincial developmental questions. Such an institution should be a collaborative structure between the provinces and district municipalities of the Karoo. This will enable them to have consistent and compatible approaches to regional development issues, such as mining, environmental conservation, agriculture and tourism. In the absence of such an institution the KDF is trying with its meager resources to fill that vacuum and facilitate some coordination in economic development efforts. The Karoo Development Foundation acknowledges the financial contribution of the Western Cape Department of Agriculture; the Northern Cape Department of Agriculture, Land reform and Rural Development and Intellectual Property Services (IPS) of REMGRO Pty Ltd in the process of establishing the Certification Scheme for Karoo Meat Of Origin. In addition in kind contributions from Brand Tree, University of Pretoria and University of the Free State are also acknowledged with appreciation.